Mary Fay Jackson is a songwriter, recording artist, musician, television producer and promoter, and she is the host of an award-winning television program now in its second decade called Texas Country Gospel. In addition to hosting the Texas Country Gospel television program, Ms Jackson also produces concept videos and commercials for Christian television. She serves as Programming Director for the 24-hour-a-day Gospel Music Television Network. 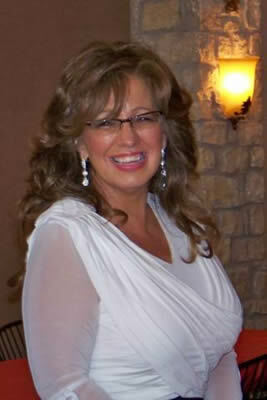 Mary Fay travels extensively to promote gospel music at national events such as The National Quartet Convention in Louisville, Kentucky attended by over 40,000 people each September; the annual Inspirational Christian Music Awards held in Nashville, Tennessee; and The World Premier held in Pigeon Forge, Tennessee. Ms Jackson's signature song, Roses, is her most requested song in personal appearances. The song, written by Ms. Jackson and recorded on CD and also featured on video, charted #6 by the Country Gospel Music Guild as listed in US Gospel News Magazine. Another original song, In Spite of Myself charted #2. She currently has four CD's in release in addition to five CD's recorded with her family group, 1AChord. Texas Country Gospel is a family-friendly entertainment show featuring southern gospel, Christian country and bluegrass music, Christian comedians, instrumentalists, poets, patriotic segments and special interviews with performing artists. Venues include Nashville, Tennessee; Branson, Missouri; and on location at many festivals and events around the nation. The program airs on Family Friendly Entertainment and is broadcast over Glory Star Satellite, Promiseland Television Network, and over 300 cable companies and independent TV stations, plus international broadcasts in India and the UK. Daystar Television Network was home to Texas Country Gospel program for seven years following its inception in 1995. Texas Country Gospel has received multiple awards, including "Top TV Show of the Year" seven times from 1997-2006 by the International Country Gospel Music Association (ICGMA). The Country Gospel Music Guild voted Texas Country Gospel Top TV Show of the Year in 2002 and again in 2006. The program also won Top TV Show in 1999, 2000 and 2001 by the Texas International Music Association. Mary Fay Jackson has been the recipient of several prestigious awards by the ICGMA including Ms. Texhoma in 1994, Promoter of the Year in 1996, Songwriter of the Year in 1997, and the highest award, Ms. Gold Cross Award in 1998. She has received many other ICGMA awards, including Top TV Show from 1997 through 2006, Top Group from 1994 to 1999, Duo of the Year in 2003 and the Crossover Award in 2007. She was presented the 2008 Radio & TV Media Appreciation Award at the 2008 Agape Fest.